An update is now being pushed to AT&T branded versions of the Apple iPhone that enables Wireless Emergency Alerts to be broadcast over the updated handsets. The alerts will be received in the same fashion as a text message, although they will be delivered using a faster method than regular SMS messages. 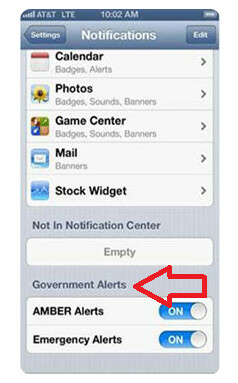 Among the alerts that will be received at no charge to AT&T's iPhone owners will be mandatory Presidential alerts sent out from the White House, Imminent Threat alerts and AMBER alerts. Those AT&T customers running an Apple iPhone on iOS 6.1 or higher, will receive the update OTA. Others will have to wait until they update their software next via iTunes. 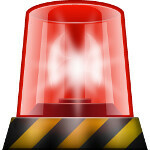 Apple iPhone 4, Apple iPhone 4S and Apple iPhone 5 users are said to now be receiving the update. The program was developed by the FCC and is required by law. AMBER alerts, which deal with missing or abducted children, come directly from law enforcement officials and can be disabled. Imminent Threat alerts, which deal with an approaching risk to personal property or life from a man-made or natural disaster, can also be turned off. When the update arrives, users will receive a short message that the carrier settings have been updated. By default, the messages will be turned on. OMG, finally! You know, I could have avoided everything I went through with that tornado if this had been fully functional. It could have also saved my Auntie a lot of heartache because at least an alert could've gone out to everyone that I was missing. Thanks AT&T! Wait, what? Since when did the iPhone get carrier updates? I thought that was one of its stronger points. No carrier fiddling or bloatware.